Decisions, Decisions - What to do with a buffet of projects? I find myself in an odd situation. I've got a lot of projects that need to be worked on, but I'm having trouble settling on what to work on. Not really writer's block as much as "writer's distraction". The other issue is that this blog falls into that category; I should be writing meaningful posts to the blog, but sometimes I'm just not working on anything that is of interest (or in my mind isn't of interest) to anyone outside of my play group. Or outside of my head, in some cases. Maybe an exercise is needed to clear my plate; see what I've got on my mind and go from there. Supposedly, Kevin Siembedia finally unclenched enough to allow another company to take his Flagship setting and adapt it to their system (because the Palladium system is SO stable and fun to play). Pinnacle Entertainment Group, makers of Savage Worlds, will be kicking off their Kickstarter for "Savage Rifts" on the 26th. I'm going to be watching this with guarded interest. I like the Rifts setting, or at least I think I do. I also liked X-Force at the time, so what do I know? I'll check it out, see if it's worth backing. The problem is that Palladium Books is still going to be part of it, and their last kickstarter hadn't completely gone well for those backers (Robotech Tactics). Maybe it'll fail, and maybe I'll have a non-FFG system game to bring to the next GamerNationCon. We'll see. My new Wednesday night game, via Roll20. Thoughts and feedback I can give about the Roll20 Edge of the Empire API; it's fun, but it's a little more involved on my side of the street. The embedded character sheets allow a player to go to a skill, or a weapon, and click a d20 emblem and have the program toss the dice for them. The difficulty can be set via the GM's "Dice Pool" window, with me adding or subtracting boost dice, setback dice, upgrades, downgrades, increases, decreases, you get the idea. I think the PCs can do that too on their side. The way I ran it last time; I set up all of the modifiers and difficulties and the PCs just hit "roll". Next time I might try it by just calling out the modifiers, and leaving it to the PCs to set it up on the rollers on their end. That could work. The game has been going on for a bit more than a year now. PCs have earned (on average) about 300 XP. The plot has moved in directions and I feel like I've got a grasp on the interests of the party. I think it's high time I get the real plot going; it's been a lot of set-up and background work thus far. I need to hit both parties with what's really been going on in the Hagen Sector behind the scenes. There's been a threat forming and it's time for them to come out of the shadows and drop the hammer on someone. The game hasn't gone where I envisioned, nor where I wanted it to, but that's okay. It's sort of gone where I pessimistically expected it to, with neither team wanting much to do with the other. Could be a PC familiarity issue; some of the most objectionable voices to the other side are those who don't know the players personally.Then again, some of that is just attributable to how the plot developed, how the background universe is aligned, and how words and deeds have colored the views of the other group. I still enjoy running each group, and I will continue to do so. I just don't know if very many crossover-games are in the cards going forward, either in this campaign or the next one. I'd be a little remiss if I didn't talk about the video game I'm most actively playing at the moment. So Fallout has released the open beta for it's new Survival Mode; and it's pretty serious. No fast travel, reduced carry weight, the need to balance sleep, food, water, rads, and disease management. Bullets have weight now, and everything a lot more lethal. So much so that when I tried to take on the Deathclaw in Concord, it killed me in one shot. While wearing power armor. Which forced me to reload to a save about an hour earlier, because you can only now save when you sleep. No saving just before you start something dangerous. It's very lethal, and is sort of fun to play on a masochistic level, but it's not for me. I don't have the time such a run would take, having to travel everywhere in-play. There are methods of faster travel in the game, but they're deep into the storyline. And I don't want to micro-manage my character to the point required to enjoy the game. Hell, my toon got insomnia and nearly died of thirst because I was so busy crafting in Sanctuary! Not for me, I'll stick with playing on Normal Mode and leave survival Mode for folks who have the time. Illithids - Reaper Minis makes these awesome Chronoscope figures called Bathalians; pretty freaky alien/mindflayer/zerg things. I think I want to use them in the campaign as an invasion force of some sort. Dragons - Inspired by Eberron, dragon alignments will not matter. Instead any "color" can be good or evil. Giants - If In include these guys, I think I'd use them as "relative giants", as opposed to 20-50' tall humans. Make them 9-10' tall, they'd certainly be giants, relative to humans, but I don't have to invent reasons for Giant-sized buildings. Power Armor - Because POWER ARMOR, dammit! There are other points I've written down too, but they're more "plot revealing" that I'm willing to share here. Quite likely I could get away with running this idea as a Rifts game (possibly even with Savage Rifts, above), but when I include what I want to do and why, it makes Rifts more and more of a poor fit. Still shopping around for a system to run it in. I have just about everything I'd need to run it for Savage Worlds, but SW isn't...as interesting to me. I kinda want something that has hit points, and SW doesn't. Not that it's a dealbreaker, just that it's something to factor in. SW may actually let me do more of what I want as far as advancement and character options go; it really opens things up, with no "levels" or "caps". Star Wars does that better, in my opinion, and I love the system, but it is definitely designed for a Star Wars setting. Trying to convert the SW RPG to it is doable (as was evident down in Texas with Fallout), but I'd probably want to revamp the Magic/Force system. Plus I'd need to rewrite a few things. FATE is right out. I like everything about the FATE system and concept except the actual die rolling. I could do what Jay Little has done, run another system stock standard and just roll some Boost and Setback dice into the mix. Use them to create narrative elements. That's a possibility. I dunno, like I said; still hunting. I've got the first session of Crossover starting in 2 weeks or so. I'm looking forward to it, but I'm running out of time to get my air-brush skills up to scratch, or even started really. This weekend looks like a great weekend to get some painting done for the Nerf blasters I've got commissions for, and to finish up a couple enhancements to my own. Should be fun. Hopefully I'll expound about it in a few weeks. I think this helped a little, getting things out of my head. Definitely needed it. We'll see how the week goes. Well now...one week ago I was kicking off the first module in my schedule at GamerNationCon. I had a wonderful time down in Denton, gaming with the Gamer Nation at Dallas Games Marathon for what may be the last time (not as ominous as that statement sounds, but more on that later). The con was exciting, exhilarating, exhausting, and exceptional. Everyone brought their "A Game", their best attitude, and their awesomeness. Attending was a great way to cap off my "March Vacation" and made me feel like all the work I'd done for it for the last few months were worthwhile. I said this last year, and I'm going to say it again; this con is the best gaming con I've ever been to. Small, intimate, with a lot of gaming to be had. RPGs, board games, dice games, panels; you name it, they got it. And with 150 people attending you feel like you know everyone within a day and that they rate at the very least as "drinking buddy" by the end of the con. All of the alumni of Gamer Nation Studios and their comrades threw an awesome con; GM Chris, GM Dave, TG, Brev, Bradshaw, Tim, Kat, Hudson; hats off to all of them for knocking this con out of the park. It was great to get to talk with Star Wars Saga Edition and D&D 5E Developer Rodney Thompson (and welcome him into the Rebel Legion for those efforts), and to hang with Christopher West from Maps of Mastery; both of them were the Convention Guests of Honor. Chris got to sit in on my Hunt for the White Spring module, and saw how much his maps make running my con-modules a snap. Con Friends are odd friends; guys and gals that you see once a year, maybe twice if you're lucky. I had a few come back, like Sam, Keith, and Sterling; it was awesome seeing those guys again and hanging with them. I made a few new ones this year, and hope we're all able to make it back in 2017. I ran two modules at GNC2016 for Star Wars; the Guns of Nova Rain and The Hunt for the White Spring. Each got run once, back to back on Thursday and Saturday. Both modules have "Knight-level" PCs; they have +150 earned XP for Nova Rain, and +180XP for White Spring. 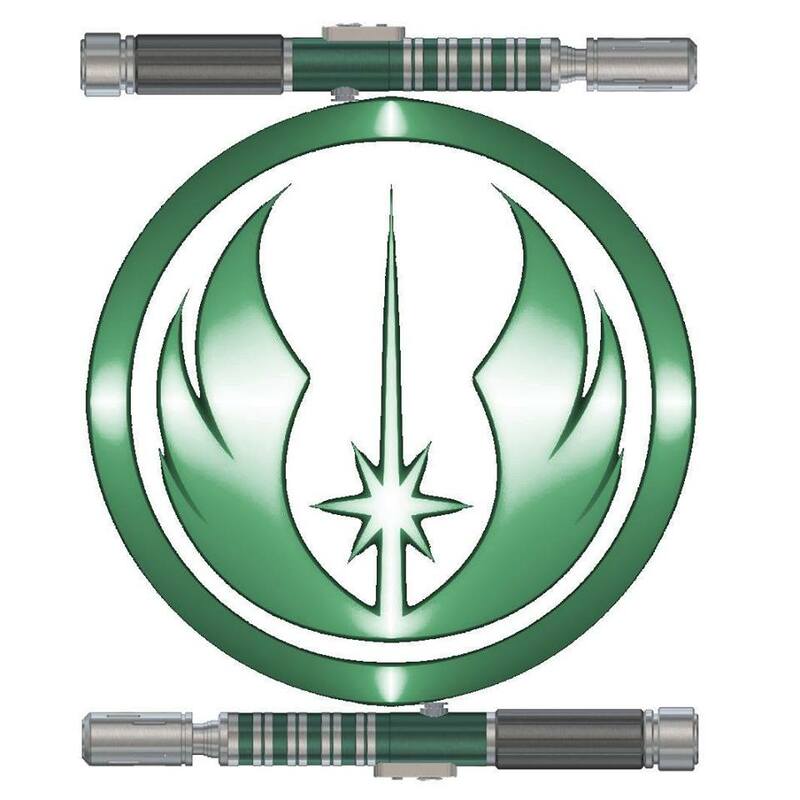 In the Guns of Nova Rain, the PCs are an elite Rebel Strike team sent to Makeb to climb a 2km tall mesa and disable or destroy a trio of cannons that prevent the Rebel's 5th Army from being extracted. This was the 5th and 6th times this module was run, and in both instances the PCs did something no previous team had done. The 5th run utilized the vehicles in the base to take out the guns, and the 6th run blew the entire goddamn mesa apart "somehow" (there's a chance you may play it in the future, so I'm not going to give away how that can be accomplished). In the sequel, The Hunt for the White Spring, the PCs are racing against the clock to find a lost Jedi Cruiser from the Clone Wars laden with lost treasures from the Jedi Order. Three of the PCs from the Nova Rain team return (well, four actually, but one is an NPC in this module), along with 3 new ones; two Force Sensitives built from Force and Destiny careers and an Ace Pilot who used to fly Consular-class Jedi Cruisers during the war (not Force Sensitive, just a damn good pilot). The adventure has twists, turns, a Mad Max style chase, and a seemingly fun encounter at the end where half the group has to deal with a stowaway while the rest try to outrun an Imperial Light Cruiser. I only got to run this one twice, and both times the groups highly enjoyed the experience. And I even teased next year's module and left my White Springs players in a cliffhanger. Coming to Gamer Nation Con 4 in 2017; Revenge of the Jedi, the final chapter of the Knights of the Rebellion story arc. I ran my Edge of the Wasteland module four times during the con; three scheduled times and one late night run from 10pm to 2am. Everyone...EVERYONE played their character masterfully. Gotta admit that the Saturday night run was my favorite; it was for the five Patreon backers of D20 Radio with Sam Stewart from FFG as the sixth. Even so, not a single run went poorl, everyone had a good time, and I hope I gave Sam a different perspective on the potential of the system he helped create. Nod to my Local Legion(s) CO Erich who recorded the audio interludes and news reports for Vault 20 Radio, they worked well, my friend. Okay, local peoples; why the hell haven't we done this before?! Artemis Bridge Simulator; you get together with 5+ friends with laptops, a big TV and a computer to act as a server, and frikkin' BE A BRIDGE CREW. Captain, helmsman, fire control, engineering, comms, science, engineering, even fighters! Go blow up attacking fleets, protect freighters and space stations, mind the black holes and asteroids, HAVE FUN! I finally got to do two hour-long missions, and it was a blast. And it's fun having Rodney Thompson and Sam Stewart as members of your bridge crew. Folks have asked me (many folks have asked me) if I'll be making the house rules I used available for the general populace. Yes, I will be; the only question is "when?" I need to get some stuff done in April, so May is looking like the soonest I'll have time to get the stuff down into some decent, shareable pdf format. Races, career recommendations, equipment, scavenging, crafting, and adversaries; these are all things I want to refine before release. Come to think of it, I might release in sections; section one will be character creation and some basic gear. Section two will be Adversaries. Section three will be advanced gear, crafting, and scavenging. Yeah, that's a good sequence to do it in. I just want to make sure I do it right so I (nor anyone else) gets into any trouble. GamerNationCon has a "game within a game" that runs from convention to convention, the accumulation of GamerCred pins for various feats of nerdity and geeky milestones. You can see the entire list here, at least the most recent "active" list. Many pins have retired, and assuredly some of these will retire too. You can use GamerCred for a variety of things; the most common is to get early access to event registration. But even at the Con folks are able to get stuff or participate in certain events. I think this year was the first time GamerCred could get you free bottled water. The one goal I set for myself when I got to GNC this year was to finally earn the Iron GM pin. To earn it, you have to run 30+ hours of RPGs. This was feasible this year. Last year when GNC was only 3 days, it was much less so. The con opens at noon on Day 1, 9am to 2pm every other day, and the last day you only have until 2pm because the con ends and the auction starts. To earn it last year, you would pretty much be running games from open to close and have to have someone bring you food. This year, they added an extra day and didn't increase the hours needed to earn Iron GM. Thursday and Friday I ran two games, ran three on Saturday, and one on Sunday. They were 4 hours each. 8x4=32. 30+ hours of running role playing games = Iron GM Phil. Achievement Unlocked, pin earned. I actually ended up with something like +80 GamerCred over last year, meaning up at about 140 GamerCred. I don't really have to worry about needing early event registration; I think I'm one of the largest contributors to the Event list. Still, it's all about your cred, right? The swag someone can walk away with is not insignificant. Game Companies have donated a swath of product to the Con. Rodney donated a 5th Edition Players Handbook and a copy of his Waterdeep game. FFG sent down a bunch of books and games, including the newly released Special Modifications and a core set for Armada. Chris West donated his entire printed collection as one item up for bid, and I think it went for over 800 xp. A Professional painter from Reaper Miniatures who loves doing Star Wars conversions of his company's minis. Thanks to Jon Steven and Eric Benders, my brother an I were able to snag all three converted minis and the Armada core set. Sam Stewart helped us get the last of the three painted minis; the Miralukan Sith Marauder. He had a caveat for me though; I have to bring a module next year that features her as the BBEG. Sadly, the Boys gave us some bad news at the end of the con. Dallas Games Marathon is losing it's lease at the end of the year. They're not sure where or even if they'll be able to move to another location that would allow them to continue their business model. At this time, the fate of Gamer Nation Con 2017 is uncertain, but the Event Organizers have Hope that it will work out. So in about a year, we'll be descending on the Dallas Forth Worth area somewhere to get together and game with the great Gamer Nation at GamernationCon 4: A New Hope. I'll miss DGM. It's a hell of a place. A hundred foot wall of boardgames, practically everything a board game geek would want to play, all for free. Massive rooms for table games and rpgs. A back room fit for an Artemis bridge and allows folks to watch the fun. And a 7/11 right out front. It was perfect. If I never play there again, I'll pour one out for DGM next year. If you can make it to GNC 2017, go. Please. You won't have a bad time. You'll game the most you've ever gamed at any con; yes, even GenCon. You'll hang out with folks from the industry. Big thanks to my buddy and Legionnaire Brother, GM Chance, for allowing my brother and I to crash at his place. Thanks, Chris! So, what now, now that GNC 3: Beyond Thunderdome is in the bag. I'm back to working on Another Longshot as my main game. The house that hosts one of the groups just made a table insert that's a 32" flatscreen TV, so we can throw pdfs of maps onto it and scale it up for 1" minis. That should be fun to play with. I'm also working on my Roll20 game's first story arc, the Swords of Tython. I've got some special interest in the Swords of Tython story because I might turn that into the next adventure arc for my GamerNationCon modules after I finish up the Knights of the Rebellion storyline. April is also going to be a month where I refine and finish up my preparations for my return to LARPing. Getting my character Gatewalker ready for Crossover will be high on my mind; I've got some armor detail to finish, several blasters to paint, and I have to learn how to use an airbrush for doing my make up. It'll be fun, and I'll be sharing it all here. Oh, and I'll be finishing off Year 40 this month. It wasn't a bad year. Let's hope Year 41 will be even better.